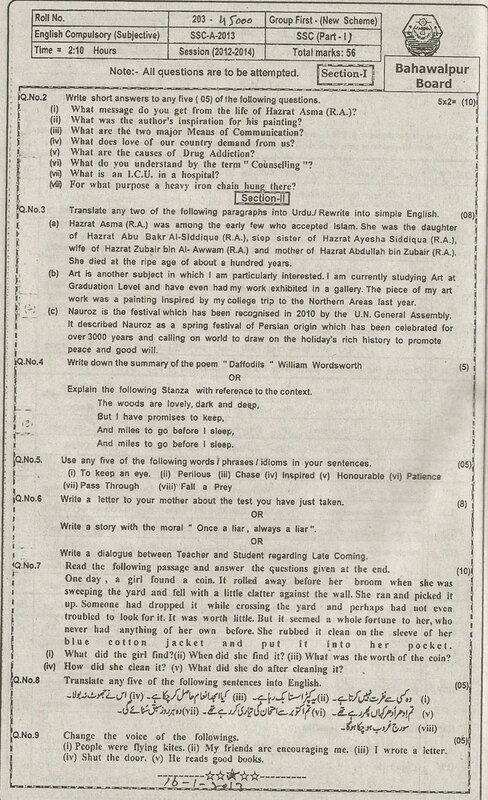 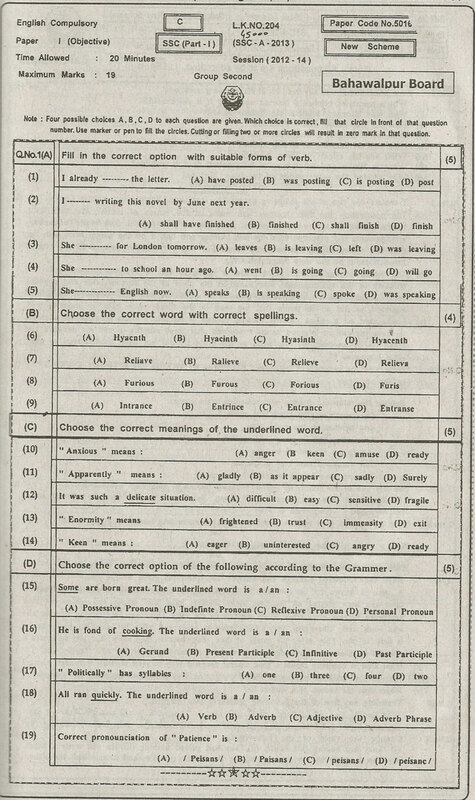 Bahawalpur Board 9th Class English Past Paper for annual examinations 2015 2016 in Punjab. 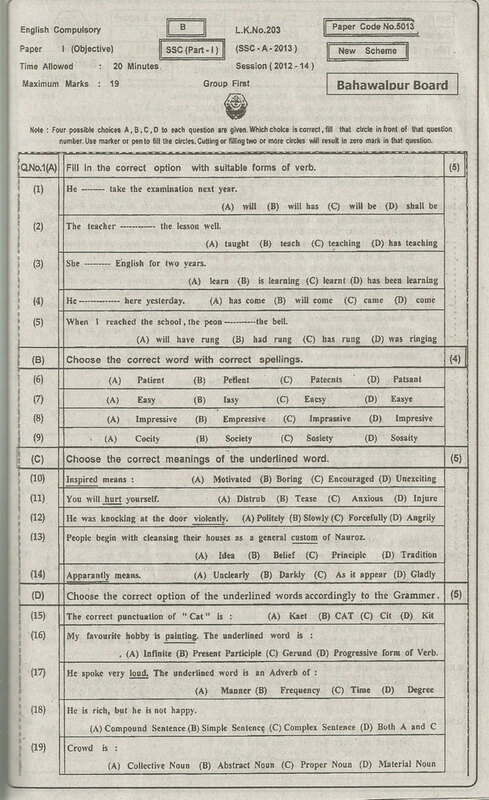 Bahawalpur Board 9th Class Guess paper English download free. 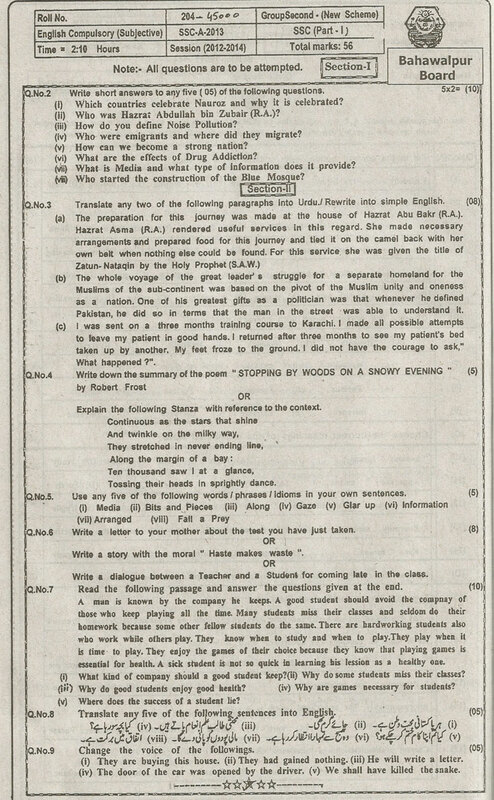 Last five year old past paper Bahawalpur board sample model paper.